Morris dancing will become extinct within 20 years if young people continue to shy away from it, according to a troupe association. The Morris Ring, which incorporates 200 UK dancing groups, revealed that the age of people taking up the pastime is increasing while overall numbers decline. "This is a serious situation. The average age of Morris dancing sides is getting older and older. Once we've lost this part of our culture it will be almost impossible to revive it," Morris Ring representative Charlie Corcoran told The Telegraph. He added: "There's a distinct possibility that in 20 years' time there will be nobody left. It worries me a great deal. Young people are just too embarrassed to take part." Morris Ring advisory council chairman Paul Reece agreed, saying that it is integral to the activity's survival that young people take an interest. "There is still time for new blood to get ready for the Spring fertility offensive," he said. 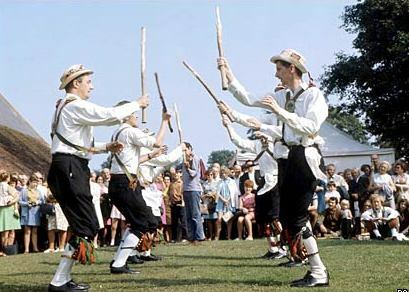 "But there is a serious danger that, in less than a few decades, Morris dancing will be confined to the history books."